Home/Blog / What Causes Saline and Silicone Breast Implants to Rupture? Although breast implants can be very durable, given enough time, they do not last forever. Over time, the cumulative effects of normal intrinsic and extrinsic “wear and tear” will affect the strength and integrity of the implant shell. 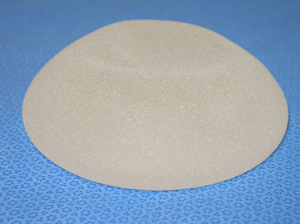 Silicone implants do last noticeably longer as compared to saline implants. What are some of the factors that can reduce the lifespan of implants? High impact trauma directly to the breast can significantly stretch and weaken the implant shell or even cause it to disrupt resulting in implant rupture. Common mechanisms for this include car and motorcycle accidents, major falls and even sports injuries. Nevertheless, I have evaluated and treated many women over the years whose implants have survived serious motor vehicle accidents including steering wheel breaking head-on collisions, being thrown from motorcycles, getting hit in the chest with batted softballs or thrown footballs, etc. Anything that can markedly increase the pressure placed on the implants, sustained or intermittent, may predispose them to premature rupture. This can include extremely aggressive implant manipulations and massage, capsular contracture, and closed capsulotomies whereby the surgeon tries to treat the capsular contracture by intensely squeezing the breasts hoping to tear the scar tissue causing the firmness. (This is no longer an accepted practice because of the now known risks of premature implant rupture.) Rarely, very compressing and aggressive mammograms can precipitate an earlier rupture. This is more likely to occur with much older implants, particularly earlier generation ones that were not nearly as strong as the implants available today. Penetrating injuries into the breast such as a result of trauma can pierce the implant envelope resulting in loss of integrity. This can even occur during a routine elective breast biopsy where a needle is inserted too deep, penetrating into the implant. Studies have shown that breast implants subject to considerable forces at the time of insertion, will have weaker envelopes potentially leading to premature failure. This can occur by the plastic surgeon trying to insert a large silicone implant through a very small incision. Damage caused by surgical instruments at the time of surgery can also result in early deflation. Saline implants that are under filled below the manufacturer’s prescribed amount, have a higher rate of failure. An example of this is a 420cc saline implant with a recommended fill range of 420 – 450cc that is only inflated to 375cc. Under filling will cause implant folds and creases that will ultimately weaken the envelope resulting in tears and, therefore, deflation. Moderately overfilling above the recommended range probably has little or no impact on durability. Whether used for breast augmentation, mastopexy or breast reconstruction, breast implants are very durable. Their presence should not influence, within reason, “normal” activities of daily living.